Jessy admits, he’s a little different. Driving the Zamboni under the Gardiner. “I am probably the only one who would say the cold is good just because I like this place. And now I get to drive the Zamboni”. 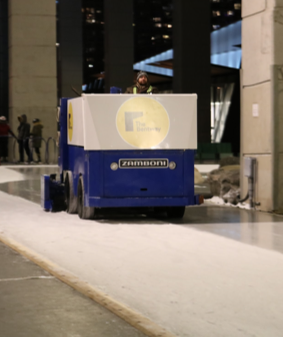 Jessy drives the Zamboni at The Bentway, the urban skating trail under the Gardiner Expressway between Bathurst and Strachan. 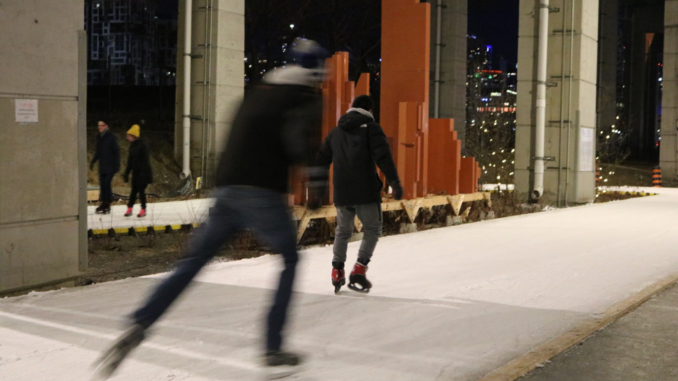 The 1.75 kilometre long skating trail is a figure 8 around the massive supports that hold up the Gardiner. 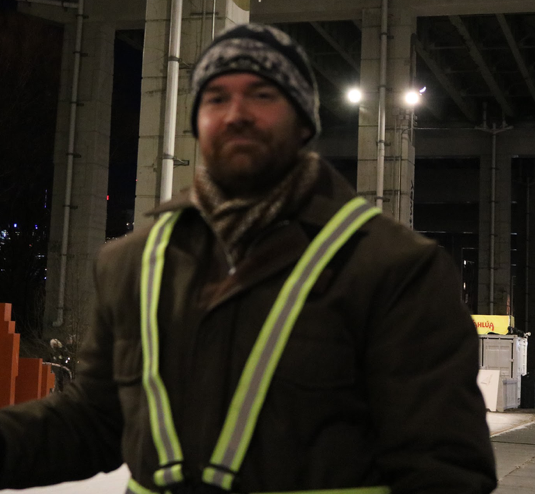 Jessy worked at the Bentway last year and is glad to be back this season. He said he not a big fan of hockey but feels it’s such a Canadian thing to drive the Zamboni. 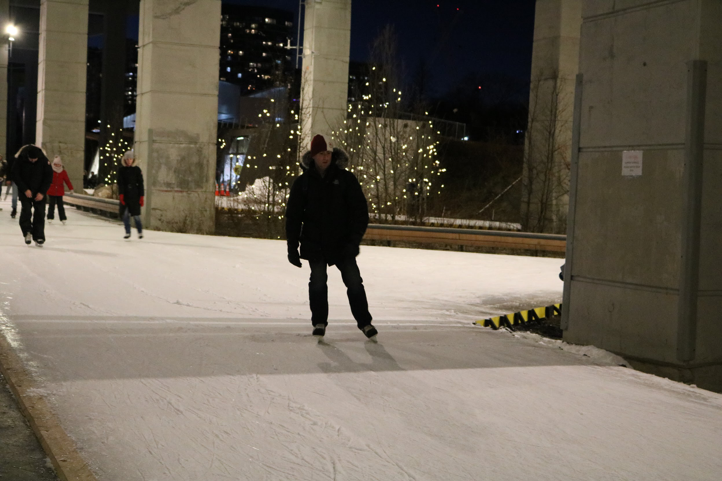 The Bentway opened in January 2018 with the skating trail . 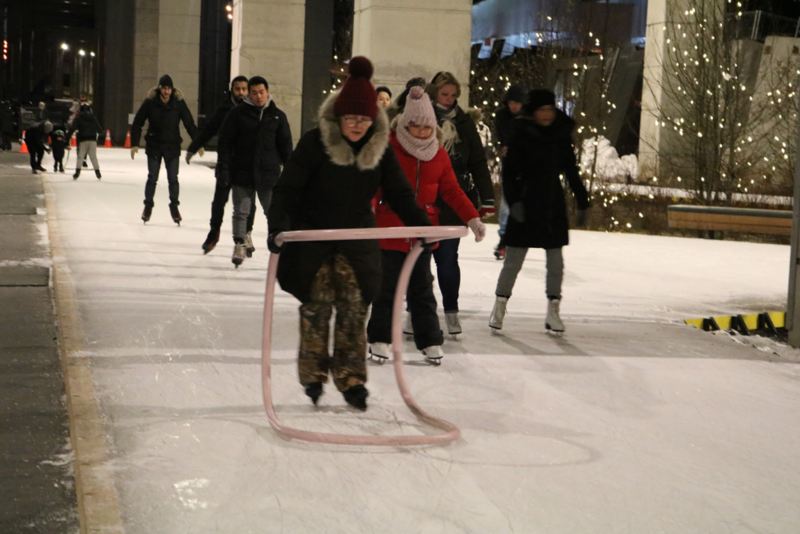 The second season brought some new changes and programs, including Apres Skate on Saturdays from 5-9pm presented by Kahlua and Free Skate Thursdays with free skate rentals sponsored by Billy Bishop Airport. In the fall, before the skating season the space was home to a display of urban art. It’s another part of what has become a year round gathering place. “We have rejuvenated the site now it is a recreational site for skating and in summer it will be skateboarding. And at the other end there will be an outdoor theatre.” says Jessy. Many skaters said they enjoyed skating and they love to see the rink be extended.